Are You Looking For Extra REVENUE ??? * Minimal Time & No Extra Equipment Needed! * Take Less Than 30 Seconds To Remove* = HUGE ROI. * Retain the Scrap Value of the Appliance! * Average Weight of a Washer/Dryer Top is only 3lbs. * Washers, Dryers, Dishwasher & Ranges! 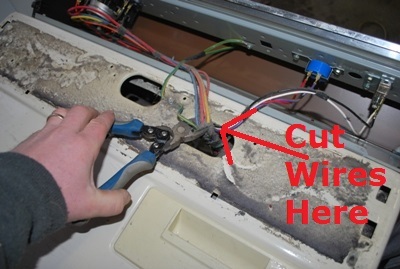 * Appliance Tops Must have AT LEAST 6″ of the wiring harness attached to console. See below for details. * Consoles that are more than 75% circuit board based are not eligible for purchase. See below for details. * A minimum of 5 Consoles are required before purchase. 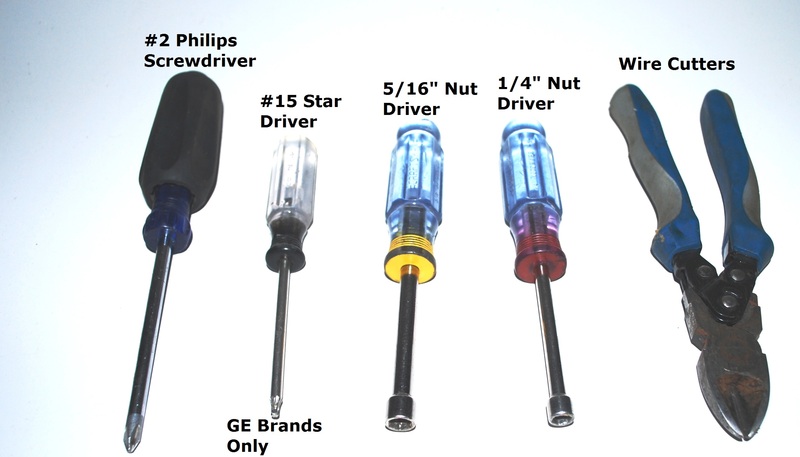 Over 90% of all appliance tops can easily be removed with the following Tools. Step 1: Remove Screws. Most Tops are held in place by 2 screws. Typically they are found in the front, but can also be in the back. Some models may have some trim covering the screws, which can be popped off. 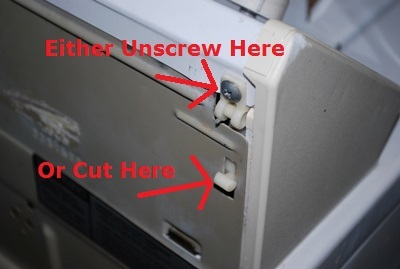 Step 2: If Required (Model Specific) Remove any retaining clips from the back of panel by cutting off or unscrewing. Step 3: Cut Wiring Harness. Leave at least 6″ of harness. Ranges: For our purposes there are 2 types of ranges, modern digital ranges and older analog ranges. We purchase both, but analog require a little more effort (but pay better). 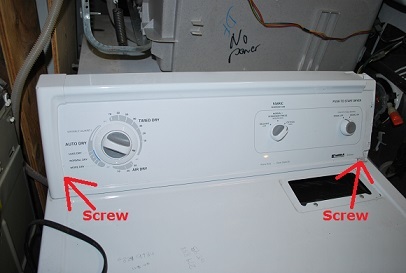 Digital Range Tops are removed similar to washer and dryer tops as shown above. 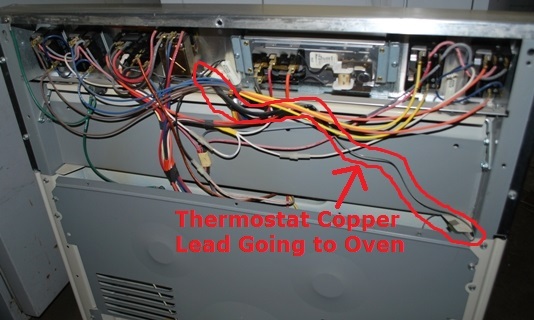 Analog Ranges have a copper lead that goes from the top, down into the oven. 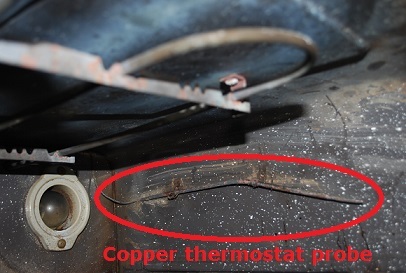 This copper lead must be intact and come with the range top! Like Ranges, we divide Dishwashers into 2 groups, Digital and Analog. 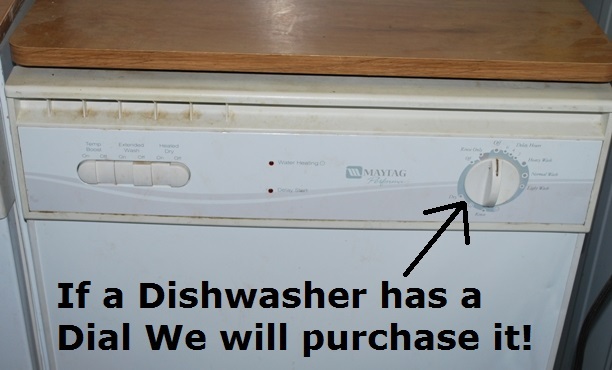 We do not purchase Digital Dishwasher Tops, only analog tops. As a basic rule of thumb, if the dishwasher has a dial to select the setting we will purchase it, if it is a touch pad, we will not. Below are examples of each. We have very few restrictions on appliance tops that we will not purchase! We reserve the right to refuse tops that have excessive damage to switches. Damage to the front or sides of the top is ok.
We also do not accept tops that are more than 75% circuit board based. 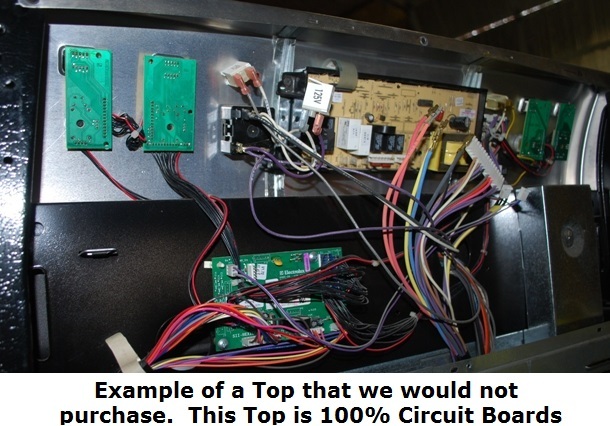 Below is an example of a range top that is completely circuit board based. We would not purchase this top.